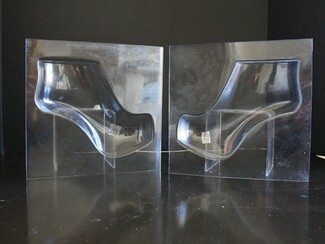 Use to make 3-dimensional, life-sized ankle boot in gumpaste. Mold comes in a pair. Finished shoe measures approximately 7" length.